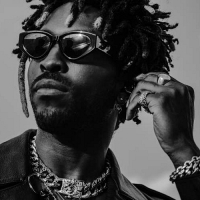 Saint JHN is American rapper and songwriter Carlos Saint John from Brooklyn. He wrote the songs: "Crash" and "Rivals" for Usher. Releases include the singles: "Roses", "Reflex" and 2018's: "Collection".